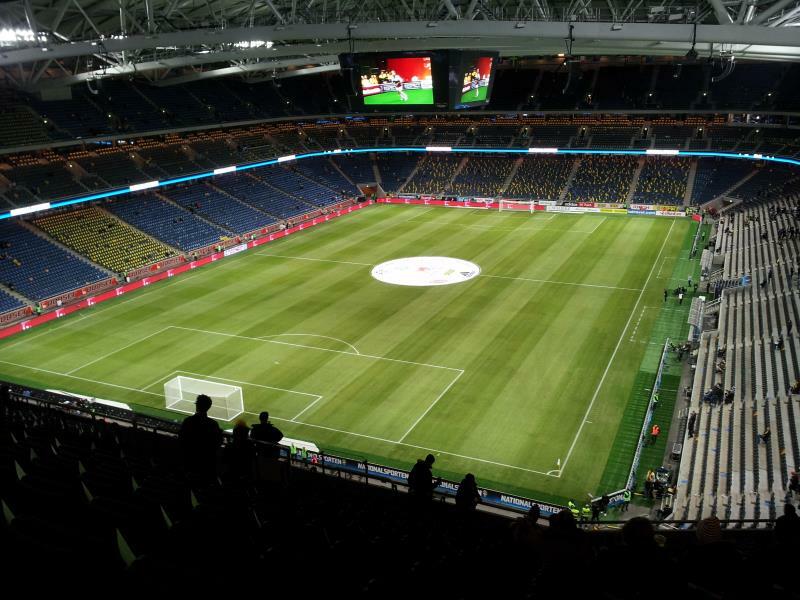 The Friends Arena is Sweden’s recently opened new national stadium. It replaced the old Råsunda Fotbollstadion. Plans initially aimed to rebuilt Råsunda into a modern stadium, but this soon turned out not to be viable and instead was chosen to build a new stadium altogether. The proposed new stadium went first by the sponsor name of Swedbank Arena, but in 2012 sponsor Swedbank decided to rename the stadium to Friends Arena after a charity. Construction of the stadium began in May 2009, and the Friends Arena officially opened on 27 October 2012 with a concert night of Swedish artists. The first football match at the stadium was played on 14 November 2012 when the Swedish national team took on England. 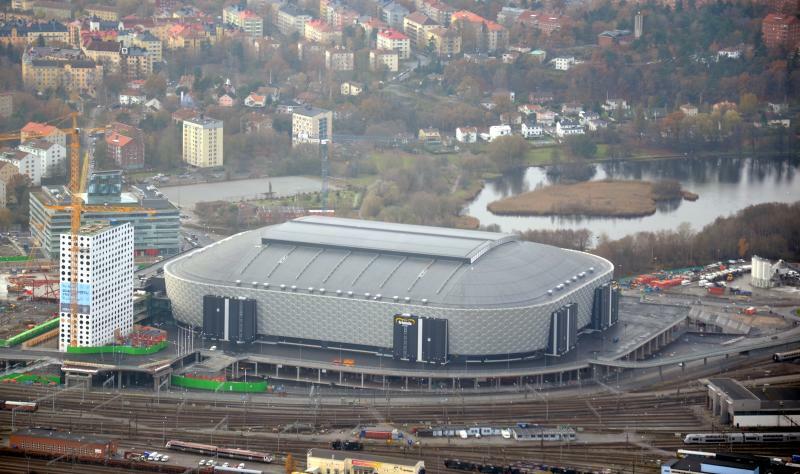 The Friends Arena has become the home of local side AIK from the start of the 2013 season. 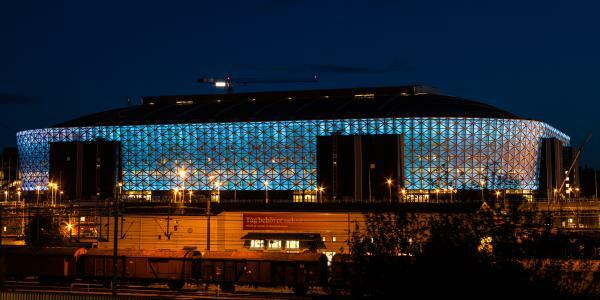 In a referendum, the club’s fans chose the arena over the Tele2 Arena. The stadium has been selected to host the 2017 Europa League final, though missed out on the Euro 2020 Championships. The Friends Arena is a multifunctional arena that can be easily adapted in size and hosts multiple concerts and other large events every year. It furthermore has a retractable roof that can be opened and closed in 20 minutes. The Friends Arena is located in Solna, a suburb of Stockholm situated about 5 kilometres north of its city centre and central railway station. The stadium lies in a predominantly residential neighbourhood, just north of the old Råsunda Fotbollstadion. If arriving by car from the E4/E20, take exit 167 toward Solna/Sundbyberg and follow the Frösundaleden toward Solna Centrum. Turn right directly after the railway station. While construction works on the adjacent shopping centre and hotels continue, there is limited parking available near the Friends Arena. If using public transport, the stadium is best reached by train as Solna station is located almost next to the arena. Trains run regularly from Stockholm’s central station (T-Centralen). The journey only takes 7 minutes. Metro stations Solna Centrum and Näckrosen also lie at reasonable walking distance from the stadium. Take line T11 from Stockholm’s central station. The Friends Arena is located in a spot of new developments including a large shopping centre, hotels, and residential buildings, surrounded by quiet residential neighbourhoods, railway tracks, and some light industry. The adjacent Mall of Scandinavia shopping centre offers a a significant number of eating and drinking options. Solna’s small city centre it located an approximate 20-minute walk away, but is of little interest, and Stockholm’s vibrant city centre is only a quick train away. The large and modern Quality Hotel Friends is located right next to the Friends Arena and is the best option if you want to stay close to the stadium. Park Inn Hotel and Maude’s Hotel are alternatives situated in Solna’s centre and thus also at walking distance. The Ibis Styles Jarva, Scandic Järva Krog, and fancy Winery Hotel are close to the E4 and therefore conveniently located for those arriving by car. They are also only 15 to 20 minutes walking away from the Friends Arena. Click here for all hotels near the Friends Arena. It is, however, just as easy to get a hotel in Stockholm’s city centre as the train ride does not take long. Click here for more options in the centre. Tickets for AIK matches can be bought online via Ticnet, or at the ticket office of the Friends Arena. Tickets can also be bought at the stadium from 2 hours before the start of the match. Ticket prices range from SEK 150.00 for a third-tier seat behind the goal to SEK 450.00 for a central seat at the first tier. Tickets for the derbies cost SEK 50.00 to SEK 100.00 more. AIK.se – Official website of AIK. 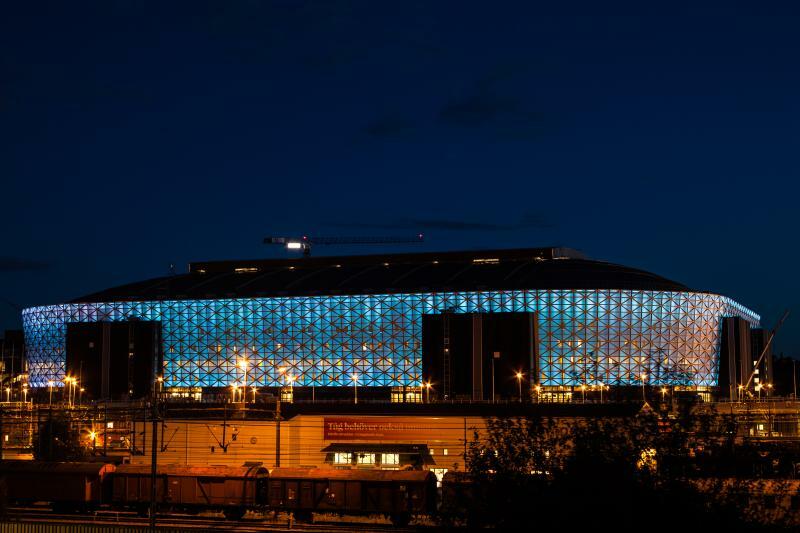 Friendsarena.se – Official website of the Friends Arena. Stockholm.com – Stockholm’s official visitors guide. Sl.se – Stockholm public transport information. Went to watch 2017 Europa League final between United and Ajax. Very nice and modern stadium. Easy to get to( train station 5 minutes of walking and the journey is about the same amount of time). Great view from top tiers. There is another modern stadium in Stockholm- Tele2arena, but old Olympic stadium is a must see!!! ( it is open for public)!